Are you considering new flooring as part of a home makeover or construction? From carpet and wood flooring to tile, luxury vinyl planks, concrete finishes and more, the options are plentiful. Local flooring experts are a great resource and can help you sort through the thousands of choices. As you shop around, you will see familiar products and learn about innovative ideas. You might be surprised by new flooring trends that offer not only style and durability, but possibly the best long-term solutions for your home. This entry was posted in Home & Garden on February 20, 2019 by Trish Amundson. When most people think about downsizing, they imagine endless piles of their possessions to sort through and nail-biting decisions about what to do with Grandma’s good china. Because downsizing is often thought to be a daunting task, it’s easy to procrastinate and put it on next year’s to-do list, which will quite possibly slide onto the following year’s list of projects. Making decisions is difficult, and it takes courage to face your discomfort and move forward. This entry was posted in Home & Garden on February 20, 2019 by Cindy Mennenga . 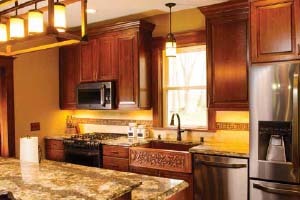 Lighting is an essential element of any home. 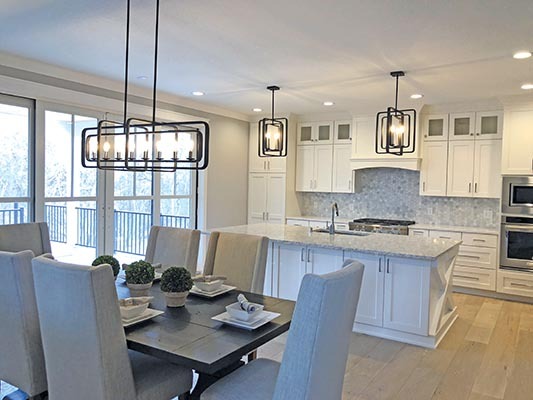 Real estate agent and builder, Mickey Rowland of Excel Homes, understands firsthand the importance of lighting and its impact on the enjoyment of a home. To get the lighting just right, Rowland works with a lighting professional to incorporate solutions into the homes he builds, including his own home. Rowland completed his personal home in early 2018, which features a rustic, modern farmhouse look. Warm wood tones, neutral classic colors and timeless custom finishes carry the farmhouse aesthetic throughout. Wide-planked hardwood flooring blends with sleek chrome hardware and Restoration Hardware vanities. The home includes custom cabinets and woodwork, beautiful Cambria countertops, and carefully chosen lighting to complement the design. This entry was posted in Home & Garden on January 2, 2019 by Trish Amundson. AS WE MOVE INTO THE WINTER MONTHS, IT IS ESSENTIAL TO ENSURE YOUR HOME IS IN PEAK FORM TO HANDLE THE COLD WEATHER. In addition to having your furnace tuned up and removing the screens from your windows, there are several other chores you may want tackle before the full brunt of winter is upon us. Snowblowers need a tune-up before the beginning of the winter. If you didn’t have your snowblower tuned up this past spring, call today to schedule your tune-up. You may wait several weeks for an appointment, so don’t delay this critical step. If you prefer, you can tune up your snowblower yourself. Simply check and replace oil, ensure the fuel filter is clean, add fuel stabilizer to fresh fuel, check tires, lubricate bearings and inspect parts for wear. Either way, you don’t want to discover you have problems with your snowblower after a foot of snow is dumped on us overnight. 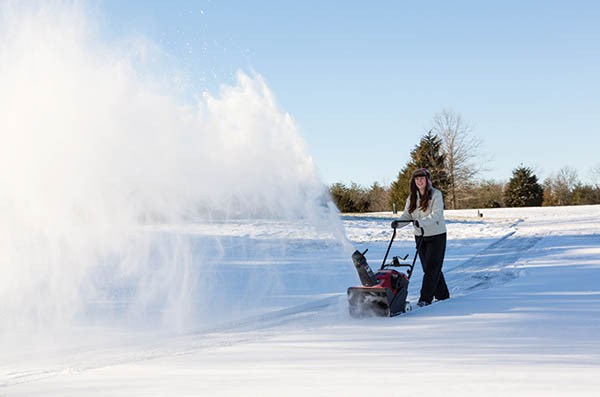 Your snowblower needs to perform on-demand, and a well-running snowblower is something you’ll be glad you have after each significant snowfall. This entry was posted in Home & Garden on November 1, 2018 by Cindy Mennenga. WHETHER YOU’VE BUILT NEW OR ARE UPDATING YOUR LIVING SPACE, KEEPING YOUR HOME LOOKING FRESH IS A WORK IN PROGRESS. MANY HOME DESIGN TRENDS COME AND GO, BUT A CLASSIC DESIGN HOLDS UP OVER TIME AND IS ONE THAT YOU WILL ENJOY YEARS LATER. 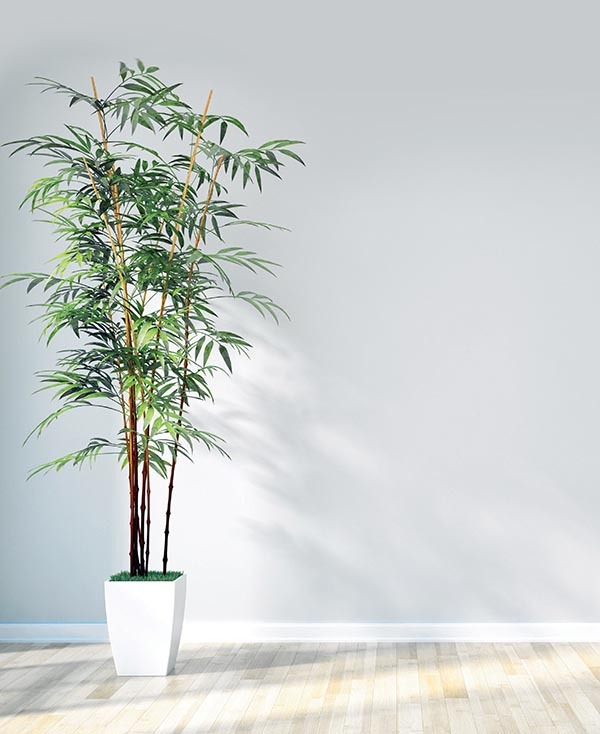 CURRENT AND POPULAR STYLES OFFER A WIDE ARRAY OF EYE-CATCHING FORMS, COLORS AND MATERIALS THAT CAN FIT ANY LIFESTYLE. Jessica Curry, owner and certified kitchen designer and interior designer at Interiors by J. Curry, LLC, describes the appeal of bold colored cabinets to homeowners. Often used as an option for base cabinets on the perimeter of a kitchen or as an accent for a standalone buffet or island, “The main cabinetry throughout the space may be painted very neutral gray or white,” she says. “The accent colors that people are asking for are the jewel tones in navy, deep emerald greens, black and charcoal.” Many are moving away from dark-stain accent colors for cabinetry. This entry was posted in Home & Garden on September 7, 2018 by Trish Amundson. THE ROCHESTER AREA BUILDERS FALL SHOWCASE OF HOMES IS A POPULAR ANNUAL EVENT, WELL-ATTENDED BY PEOPLE PLANNING TO BUILD A NEW HOME OR SIMPLY THOSE WANTING TO SEE THE LATEST IN HOUSING TRENDS. THE 2018 FALL SHOWCASE OF HOMES PROMISES TO BE LOADED WITH GORGEOUS HOMES BURSTING WITH THIS YEAR’S HOTTEST DECORATING AND DESIGN IDEAS. Area builders enter their finest homes in the showcase competition, inviting the public to tour their newest houses, hoping for the much-coveted recognition—being voted a winner—from the home-building community. The prestige of having a winner on the showcase is not only good for business for the builder; it also brings credibility and elevated standing within the community. There are several homes on the Fall Showcase as there are five distinct divisions in the competition, all based on the price of the home. Last year’s Division 3 (homes between $408,000 and $499,900) winner was Countryside Builders. Their home at 2206 Glady Lane NE in Rochester nabbed the prize and all the honors. This entry was posted in Home & Garden on September 7, 2018 by Cindy Mennenga. Fall is the best time of the year to catch up on home maintenance—the air has begun to cool, and our weekly schedules begin to settle into a familiar rhythm after fun-filled days of summer. Knowing that winter will be creeping up on us soon, it’s time to make a to-do list for fall and start chipping away at it. You may want to plant some bulbs this fall so your yard will have a bright pop of color next spring. While you’re at it, you’ll want to cut back most of your perennials, rake the leaves and lower the mower height the last time you mow this fall. Also, after you mow your yard for the last time, you will want to winterize your lawnmower, so it will be in peak condition next spring. A BEAUTIFULLY DESIGNED HOME UPDATE CREATES LARGE, OPEN SPACE WITH RENEWED PERIOD DETAILS, INCLUDING VINTAGESTYLE FARMHOUSE SINKS. WHILE MAINTAINING THE ORIGINAL CHARACTER OF THEIR 1910 FARMHOUSE, DAVE AND BECCA BENNEROTTE DESIRED A LARGE SPACE THAT WOULD ALLOW THEIR FAMILY OF FOUR TO COMFORTABLY GET READY FOR WORK AND SCHOOL EACH MORNING. THEY ALSO WANTED THE CONVENIENCE OF A MAIN-FLOOR LAUNDRY, IN ADDITION TO THE MUDROOM. This entry was posted in Home & Garden on July 1, 2018 by TRISH AMUNDSON, Photography By FAGAN STUDIOS. AS WE HEAD INTO THE PEAK OF SUMMER, YOU’LL WANT TO KEEP UP WITH ROUTINE MAINTENANCE AROUND THE HOUSE. WHILE MAINTENANCE IS SELDOM ON TOP OF ANYONE’S TO-DO LIST AT THIS GLORIOUS TIME OF YEAR, YOU WILL BE REWARDED BY HAVING A SMOOTH-RUNNING, WELL-CARED-FOR HOME. HERE ARE A FEW TIPS TO HELP GUIDE YOU THROUGH THE END OF SUMMER. This entry was posted in Home & Garden on July 1, 2018 by CINDY MENNENGA. WHAT’S MORE ENJOYABLE THAN THE BEAUTY OF FLOWERS IN ALL THEIR SUMMER GLORY? 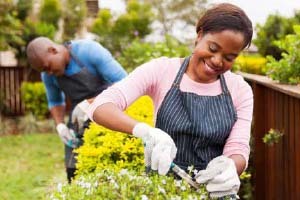 WITH SUMMER IN FULL SWING, THERE ARE SEVERAL OPPORTUNITIES TO INDULGE IN A GARDEN TOUR OR TO MINGLE WITH FELLOW FLOWER LOVERS TO CELEBRATE NATURE’S ABUNDANT BEAUTY. GATHER UP YOUR FRIENDS OR FAMILY AND EXPLORE THE VERDANT BEAUTY OF SELECTED LOCAL GARDENS. Every year, Sargent’s hosts their annual appreciation party for all of their customers. 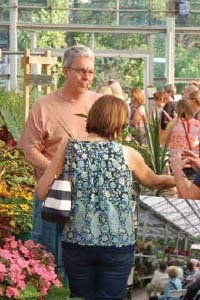 Sargent’s garden party is popular and is traditionally well attended. Scott Moon, manager of Sargent’s on Second, says, “We expect 800-1,000 people at each location. We have two shifts—from 3-5 p.m. and 6-8 p.m. at each location on the same day.” This year’s garden party is Tuesday, July 10 (in the event of a cancellation due to weather, Sargent’s has designated a rain date for July 11). Sargent’s will have live music and serve light refreshments and hors d’oeuvres to guests. Moon adds, “We want people to relax, walk around, visit with other customers in the garden.” During the garden party, Sargent’s will also have mini-seminars on topics such as how to use herbs in cooking, bouquet-making and all about succulents. Guests don’t have to be rewards members to attend; however, Sargent’s asks guests to join their rewards program.